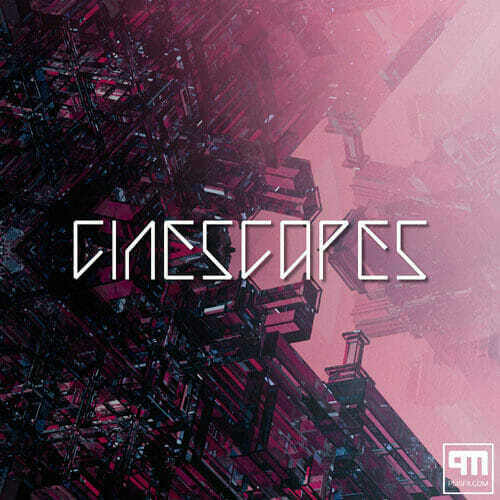 ‘Cine Series’ is a comprehensive collection of production elements from textures and soundscapes to impacts, whooshes and transitions. It consists of four libraries, ‘Cinenergy’, ‘Cinedrop’ and ‘Cinescapes’ volumes i and ii. Given that these libraries can be bought separately, they are reviewed individually below. 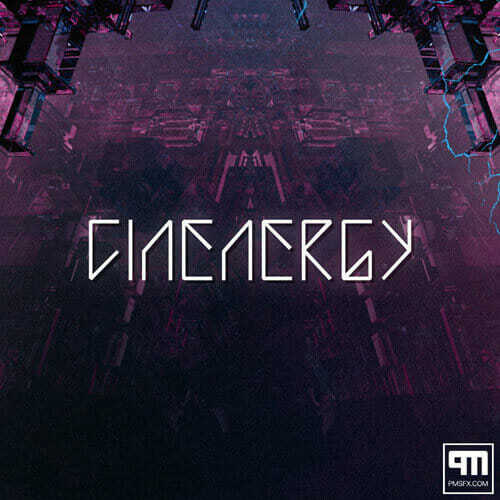 Cinenergy (Cinematic Energy) is a library created with sound designers in mind. Add dark, synthetic impacts and drops to you trailers, enhance existing sound design with extra transitions and modern cinematic drops. If you’re looking for peaceful, relaxing sounds, this library has very little to offer. If, on the other hand, you are looking for in-your-face, punchy, energetic sound effects that are just as dirty as the blurb promises, this library definitely delivers. Loud and visceral for the most part, ‘Cinenergy’ is a good fit any time you need to make a statement. This collection is perhaps the most varied of those in the ‘Cine Series bundle’, featuring everything from loud impacts with plenty of savage, growling synth presence to more subtle, ominous tonal whooshes. Some of the sounds are closely related so that you can develop a sonic theme in your project and many of the assets share a common key, making them easy to layer. The library certainly has a very modern feel, fitting excellently with the conventions of contemporary trailer sound design without sounding derivative. As well as the growls mentioned above, there are also some digitally textured hits full of bleeps, chirps and harsh metallic sounds. Some of the elements here could make great samples for genres of electronic dance music such as dub-step. There’s also very effective and liberal use of tremolo to create stuttering, choppy textures. What I particularly like about this is how the speed of the stutters often varies, creating an ear-catching feel of movement and evolution. The whooshes section contains some sounds that rise and fall and some that swell up and come to an abrupt finish. This, couple with the various lengths provided, means that there are the tools to create a wide variety of transitions to fit into whatever space your project allows. They also vary in richness, which is useful for mixing in different contexts. Finally, if you buy this library through PMSFX’s site itself, you get a further 30 sounds as bonus content, which expand on each of the types of sound mentioned above. This is a rich, cinematic batch of sounds with a dark and ominous feel. It delivers on everything the blurb promises and provides a comprehensive foundation for anyone needing larger than life sound. 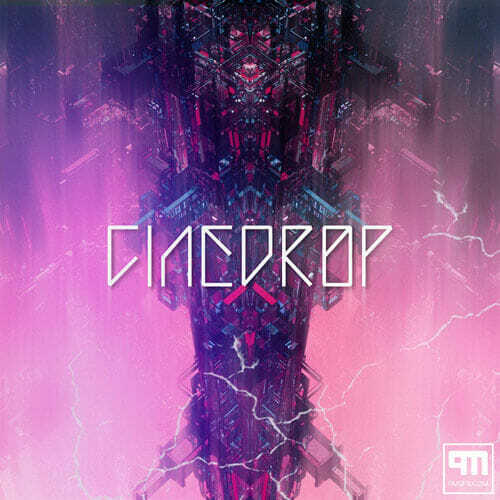 Listening to ‘CineDrop’ is rather like being punched in the face 57 times…in a good way. Perhaps if there were a sound effect to represent the experience of drinking a pan-galactic gargle-blaster, which is “similar to “having your brains smashed in by a slice of lemon wrapped round a large gold brick”, it might be found in this little collection, although I think PMSFX skimped a bit on the lemon. Each sound contains at least one impact, four in one case, that is full of punch. Some are preceded by swells to give a sense of approach. Two rev up with an accelerating clock sound. After the punch comes the slow-down, with lots of bass as promised, which is very full and meaty but clean, being devoid of mud. These bass elements include descending tones or resonant rumbles and are augmented with flutters/choppers, resonant hisses and other musical ominousness. One aspect I particularly like is the fact that the descends aren’t all the same shape. In a few cases, there is a quick descend when things seem to come to an abrupt halt, then a more gradual slow-down kicks in. This gives a nice emotional effect and adds variety. Despite this library’s small size, just by using an audio editor and very little time at all, you could get a lot of versatility out of it. Simply by cutting the impacts if they aren’t what you need, you have more subtle eerie drops or power-downs, while reversing the sounds gives you just as many power-ups and risers as you have drops. In short, the production values are very high. The sound is clean, crisp and full – definitely cinematic. The versatility, variety and well-managed bass make it worth the price for those in broadcasting, film-making or game sound design. [These two volumes are] a collection of modern, cinematic, evolving, sequential soundscapes. What struck me immediately about these libraries, even before I acquired them when I was listening to the demo, is that, although they loop seamlessly, always a big bonus in my book, they are very complex. The description doesn’t exaggerate when it says that it’s not just a drone library. They are dynamic, with varying textures and elements that come and go, some suddenly and some in gradual swells. On a closer listen to the collection, I found myself initially wondering what I would use these for. There are no screams of tortured souls, distant monstrous cries or anything else that could be pinned down as representing anything in the real world, but don’t let that put you off. Rather, these soundscapes evoke a dark and suspenseful mood. I believe that these libraries are best considered as possible elements in a score or as a substitute for one. Their combination of percussive and tonal elements makes it difficult for me to imagine using them as sounds that are meant to represent what characters in a context actually hear. They create an atmosphere rather than paint a picture of a space and, given their dynamic nature and definite key in many cases, they may well be difficult to blend with other musical elements in a scene. As emotive, atmospheric elements though, they work very well. It is easy to envisage them as the backdrops for trailers, crime documentaries or as the musical elements for scenes in a horror film or game, with dripping cave ambiences or air conditioning hum and creaking pipes providing the more conventional sound design to set the scene.This is not to say that these sounds could not be used as regular sound design, particularly those in Cinescapes ii, but, for me, their primary purpose would be musical. Use of the stereo image in each sound is very good and, as mentioned before, the soundscapes are very dynamic which means that pieces could be cut from the sounds to be used as transitions. While the sounds are very different, there is sufficient overlap in the type of sound elements each texture features that, instead of looping one, you could blend multiple sounds into an expanded atmospheric ambience. This is helped by the fact that many of them are in the same key. One thing that impresses me about both libraries is that, despite being evolving and busy, each sound isn’t very long, which gives you two volumes of seamlessly looping, complex sounds that isn’t too heavy on hard drive space considering what you get. 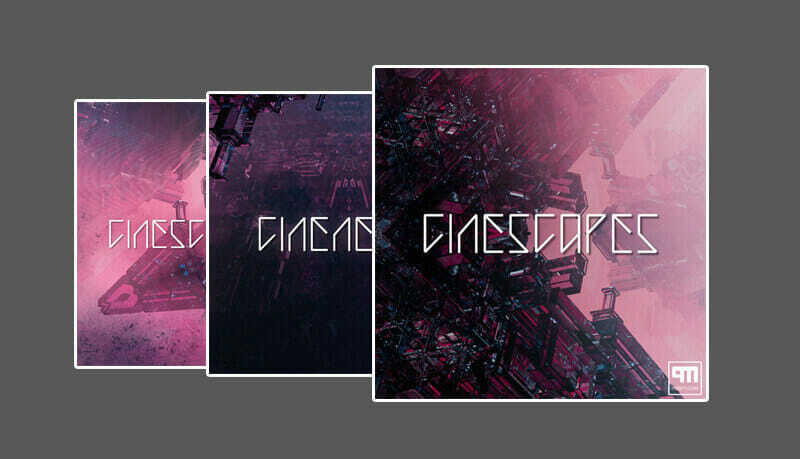 The ‘Cinescapes’ volumes manage to be very versatile without sacrificing much in any one respect. If you’re just looking to purchase one of these volumes, I would have to give my preference to volume ii over volume i as being more dynamic and diverse over all. there are some sounds in that library that really caught my ear. Both, however, are very solid offerings and you wouldn’t go far wrong with either. ‘The Cine Series Bundle’ is a well-rounded, rich and versatile collection whose sounds can be used straight out of the box or as fertile ground for experimentation. Although you can purchase the libraries as separate units, I think that by far the best bet is to buy the whole bundle as the sounds fit together very nicely and you are likely to need sounds in all the categories it covers at some point. My only wish is that the files could be more descriptively named, which would make it easier to distinguish one file from another, but, given the nature of the material, it is difficult to give such closely related, abstract sounds meaningful names that don’t use subjective language and besides, the sounds definitely speak for themselves. ‘The Cine Series Bundle’ can be purchased here. For a free sample of PMSFX’s work, be sure to check out their contributor page on our site. For more sounds like this, browse our category pages.